About 3,600 students at Georgia Tech rely on federal direct subsidized loans. Photo credit: Shutterstock. Federal direct subsidized loans are the most affordable government student loans, available only to undergraduates who can prove financial need. Interest rates on subsidized and unsubsidized federal loans to ungraduates are the same — 4.45 percent for students headed to school this fall. But from the borrower’s point of view, what’s nice about subsidized loans is that the government does not assess interest while students are still in college — or during a six-month grace period after they graduate. Interest charges on federal direct unsubsidized loans, on the other hand, start piling up as soon as you take them out. The Trump administration wants to do away with the interest-free period provided on subsidized loans, which it says would save taxpayers $38.9 billion over the next 10 years. An analysis by Credible News shows that the move could add more than $4,000 in additional interest charges to the cost of getting a degree for students who qualify for — and max out on — the need-based loans. To take some of the sting out of that move, the Trump administration proposes granting more generous loan forgiveness to people earning modest incomes. Borrowers paying down undergraduate loans could qualify for loan forgiveness in 15 years instead of 20 years. But consumer and student advocate groups including the National Consumer Law Center, Student Debt Crisis, and The Institute for College Access and Success (TICAS) are adamantly opposed. It remains to be seen whether Congress will have the stomach for such drastic changes, which would also include eliminating Public Service Loan Forgiveness program for government and nonprofit workers (existing borrowers would be grandfathered in). A House education appropriations bill that moved forward in mid-July snubbed Trump’s proposed changes to student loans. But some astute observers think those changes could be back on the table if Republicans end up using the budget reconciliation process to trim billions in education spending. In an attempt to rally opposition to the Trump administration’s proposed education budget, the National Association of Student Financial Aid Administrators (NASFAA) has created an online tool that estimates the impacts it would have at any college. At Georgia Tech, for example, NASFAA’s calculator estimates 3,624 undergraduates rely on federal direct subsidized loans, and that those students would pay back at least $1,501 more per student if the interest subsidy is eliminated. The impact for any particular student depends on how much subsidized loan debt they graduate with, and what interest rate they’re paying. At the current interest rate of 4.45 percent, a student who graduates with $23,000 in subsidized student loans — the limit for undergraduates — would pay $238 a month for 10 years in the standard government repayment plan after graduation, or $28,538 in total. But if interest charges instead start piling up while they’re still in school, their loan balance grows to about $26,796 before they even start repaying their loans. That means they end up paying $277 month for 10 years in the standard government repayment plan, or $33,248. 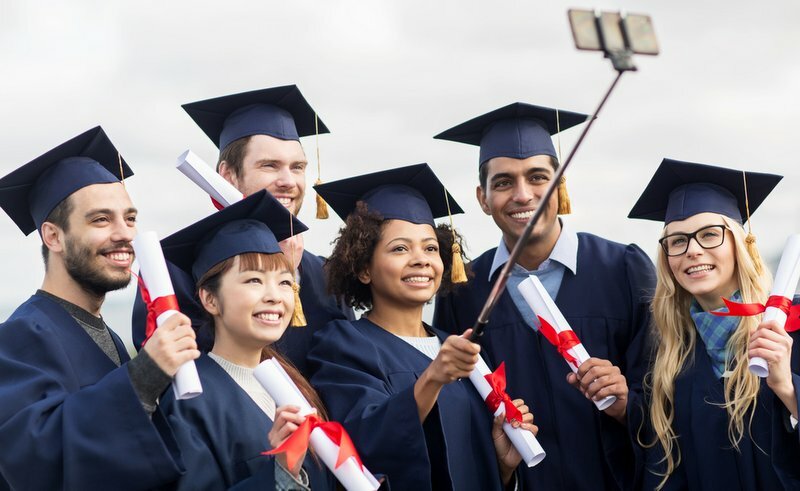 That’s a difference of more than $4,000, although graduates with modest earnings could recoup those additional costs if they qualify for loan forgiveness, Delisle and Holt note in their American Enterprise Institute piece. It’s important to note that in order to hit the $23,000 limit on unsubsidized loans, a student would need to take five years to complete their degree. For students completing their degree in four years, the limit on subsidized loans would be $19,000. Students taking out $19,000 in subsidized loans over four years would be looking at $3,158 in additional repayment costs if they were responsible for interest that accrues while they’re still in school (see analysis below). According to a report from Complete College America, most full-time students need more than four years to complete a bachelor’s degree. About half of students who take out subsidized loans borrow the most that they are allowed to each year, according to the National Center for Education Statistics. Since students who borrow for college normally take out loans each year or each semester they’re in school, and because the limits for how much they can borrow depend on how far along they are in school, calculating interest capitalization is not completely straightforward. Also keep in mind that the examples below assume that a student would be able to take out loans the current interest rate of 4.45 percent each year they’re in school. In reality, rates for new federal student loans are adjusted annually. Rates on federal loans for students headed to school this fall are 0.69 percentage points higher than last year, and could keep going up. Freshman year loan of $3,500: After the deferment period of 66 months, the new loan balance is $4,465, including $965 in accrued interest. Sophomore year loan of $4,500: After the deferment period of 54 months, the new loan balance is $5,492, including $991 in accrued interest. Junior year loan of $5,500: After the deferment period of 42 months, the new loan balance is $6,421, including $921 in accrued interest. Senior year loan of $5,500: After the deferment period of 30 months, the new loan balance is $6,143, including $643 in accrued interest. Fifth year loan of $4,000: After the deferment period of 18 months, the new loan balance is $4,275, including $275 in accrued interest. New balance on all five loans when repayment begins: $26,796. The cost to repay a $26,796 at 4.45 percent interest over 10 years is $33,248, with 120 monthly payments of $277.06. If interest charges are waived while the borrower is in school, the total cost to repay $23,000 in subsidized loans at 4.45 percent interest over 10 years is $28,538, with 120 monthly payments of $237.81. The difference in total repayment costs: $4,710. Freshman year loan of $3,500: After the deferment period of 54 months, the new loan balance is $4,271, including $771 in accrued interest. Sophomore year loan of $4,500: After the deferment period of 42 months, the new loan balance is $5,254, including $754 in accrued interest. Junior year loan of $5,500: After the deferment period of 30 months, the new loan balance is $6,143, including $643 in accrued interest. Senior year loan of $5,500: After the deferment period of 18 months, the new loan balance is $5,877, including $377 in accrued interest. New balance on all four loans when repayment begins: $21,545. The cost to repay $21,545 at 4.45 percent interest over 10 years is $26,732, with 120 monthly payments of $222.77. If interest does not accrue while the borrower is in school, the total cost to repay $19,000 in subsidized student loans at 4.45 percent is $23,574, with 120 monthly payments of $196.46. According to the latest numbers from TICAS, seven in 10 seniors graduating from public and nonprofit colleges in 2015 had student loan debt, with an average loan balance of $30,100 each. Editor’s note: This article has been updated to clarify that students must take more than four years to complete their bachelor’s degree in order to hit the $23,000 limit on federal direct subsidized student loans.